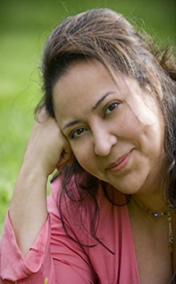 I am Lisa Rodriguez, CEO, Next Level Consulting & Virtual Assistant Services. As entrepreneurs, we know the importance of networking – whether via social media or live events. You need to be marketing your business and your brand each and every day. Social media marketing helps with this process, as you can automate a portion of it. Live networking events require a different set of tasks. You need to do some prep: who is the event audience comprised of do you have products or services that would be of interest can you develop a specific package of services just for this audience to drive business do you have branded marketing materials to distribute – and not just business cards. Post cards with a clear call to action are a great way to get your message out there. Many of my clients don’t like to attend live events because of the amount of follow-up work it creates for them. You need to make notes on the backs of business cards you collect (so you can remember if there was any interest expressed in your business). If you have their permission, you also want to upload their contact information to your auto-responder, so you can begin to market to them (and these contacts should be placed in their own list – named after the event for tracking purposes). You have this pile of business cards. Now what? Now you should download a nifty little app called “CamCard“. It can be used on the iPad/iPhone, Android/Blackberry and Windows phones. It allows you to take a picture of the business cards you collect and it automatically creates vCards of the information. You can sort your new contacts into groups, you can automatically call new contacts or send them SMS messages. SWEET! I am all for applications that will make my life a little easier. I really think this app does just that. Let us know if you are using it and how it has impacted your business.